Being Frugal and Making It Work: Have a Safe & Happy Halloween! I remember as a kid looking forward to dressing up on Halloween and heading to school. Teachers and students dressed up, we had a parade through the school and even played games and had Halloween parties. It's sad that my children aren't able to experience the same at their school - no Halloween costumes are allowed at school! They do have Harvest Parties at school but it's just not the same. 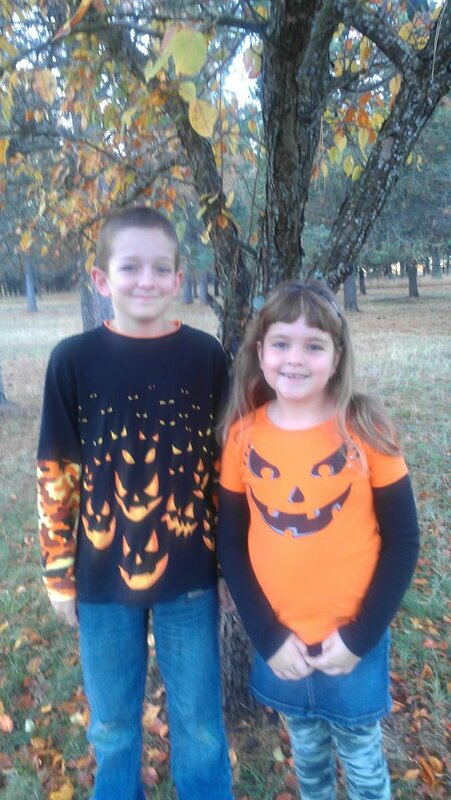 Here are my two "pumpkins!"